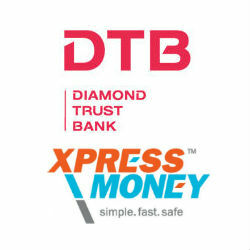 Xpress Money, one of the world’s most dependable money transfer brand announced its entry into Tanzania by partnering with Diamond Trust Bank (T) Ltd (DTBT). Xpress Money’s services will now be available at 16 branches across the country by virtue of this strategic partnership with DTB. The brand plans to make its services available across 50 additional locations by the end of 2013. Tanzania with its large diaspora and expatriate community has been steadily increasing its share in the global remittance industry. Tapping on the opportunity, Xpress Money will launch both, its send and receive services in the country offering its customers extremely competitive transfer fees of TZS 7000 for outbound International transfers and a special tariff of just TZS 5000 will be charged for transfers within East Africa. Xpress Money will be the only money transfer brand in the country to offer these services at such rates. Mr. Abdul Samji, Chairman of the Board of Directors of DTBT said “The very successful partnership of the DTB group with XpressMoney in Kenya for the past 5 is now being extended to Tanzania. XpressMoney with its strong market presence in the Middle East and Indian sub-continent will facilitate money transfers for the large expatriate community in Tanzania simultaneously contributing significantly in increasing remittances from across the globe to both Mainland Tanzania and Zanzibar”. DTBT have 16 branches in the country with 8 branches within Dar es Salaam with 2 In Arusha and one each at Mwanza, Tanga, Mbeya, Moshi, Dodoma, Moshi and Zanzibar. The Bank is planning to open 4 branches in 2013 in Iringa, Morogoro and Mtwara. DTB is an affiliate of the Aga Khan Fund for Economic Development (AKFED), the economic development arm of the Aga Khan Development Network.